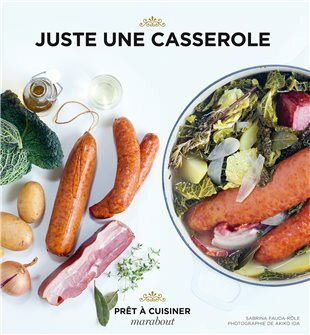 Set of kitchen utensils with removable handles: stainless steel saucepans, stainless steel cook pots, stainless steel pans, stainless steel frying pans and glass and stainless steel lids. 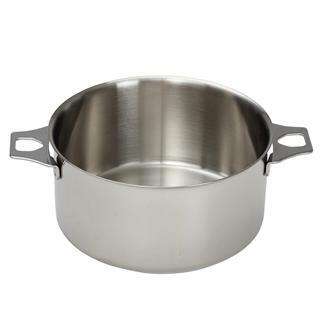 Stainless steel saucepan measuring 24 cm in diameter without a lifting handle. 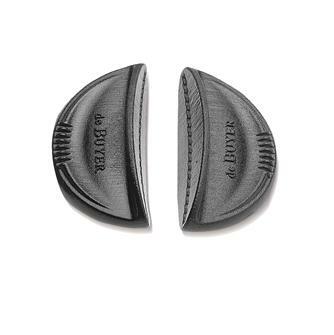 Set of 2 clip on handles in black silicone. Glass lid with diameter of 14 cm and a stainless steel band. 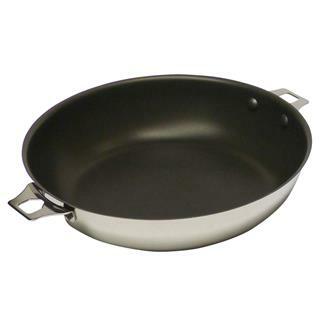 Stainless steel frying pan - 24 cm in diameter - no handle. 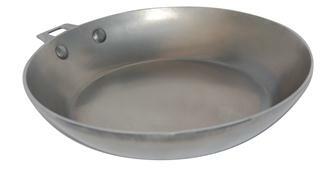 Round frying pan with diameter of 24 cm in cast aluminium with no handle. Stainless steel lid measuring 24 cm in diameter for utensils with removable handles. 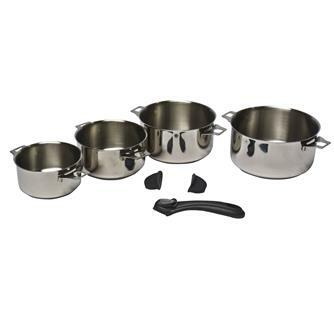 Set of 4 saucepans in stainless steel with a removable handle in black silicone. Glass lid - 28 cm in diameter - stainless rim. 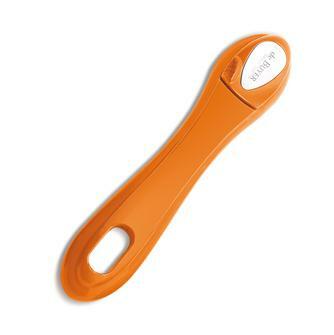 Orange stainless steel and bakelite removable handle. 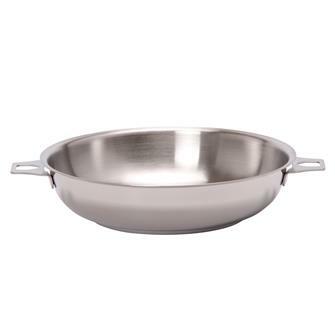 Stainless steel lid measuring 18 cm in diameter for utensils with removable handles. 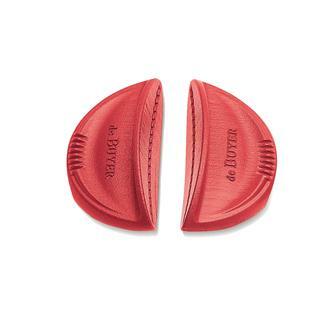 Set of 2 clip on handles in red silicone. 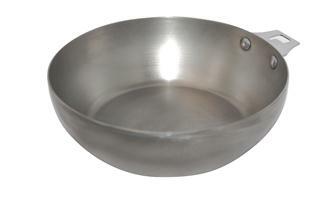 Stainless steel frying pan - 28 cm in diameter - no handle. 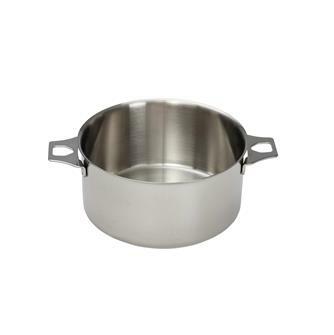 Stainless steel saucepan measuring 14 cm in diameter without a lifting handle. Just a pan - S. Fauda-Role - 190 pages. 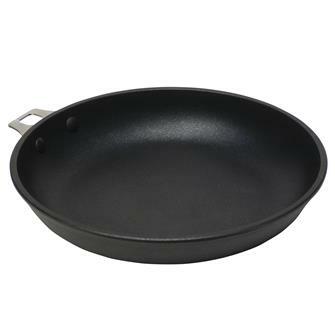 Stainless steel frying pan with non-stick coating - 28 cm in diameter - no handle. 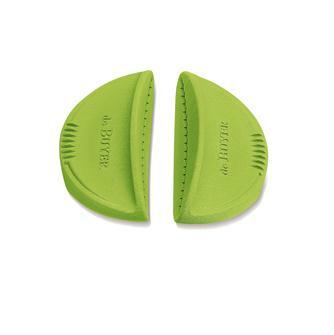 Set of 2 clip on handles in green silicone. 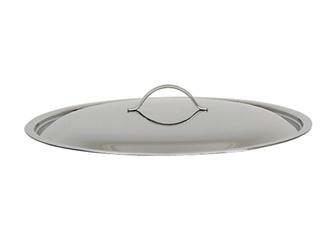 Glass lid - 20 cm in diameter - stainless rim. 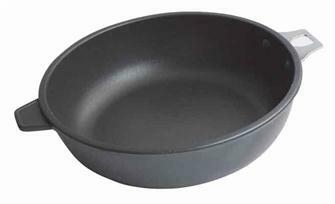 High sided ´paysanne´ frying pan with diameter of 24 cm and no handle. 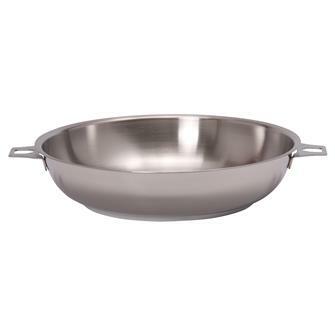 20 cm pan in cast aluminium with no handle. 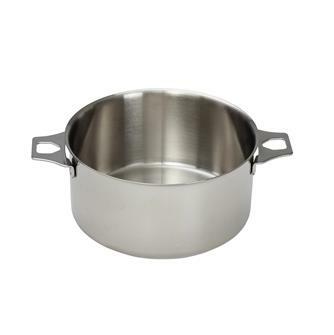 Stainless steel saucepan measuring 18 cm in diameter without a lifting handle. 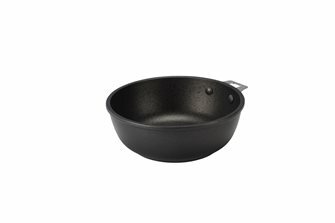 Round frying pan with diameter of 28 cm in cast aluminium with no handle. 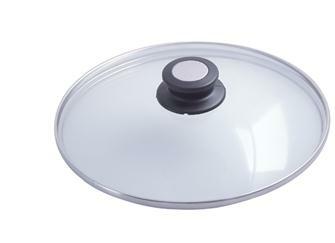 Stainless steel lid measuring 28 cm in diameter for utensils with removable handles.